July was passed, welcome August! Autumn braking is a Harvest season, how is your passive components business recently my dear friends? In order to feedback our VIP customers, we expended the production line and improved the technology for the dipped MKT MKP film. Now we have much better prices offer than before. Pls. Kindly send us your request and order list for quote before you go for summer holidays, you will receive very satisfied prices from us, if you could send us order now, you may get the nice goods after you back from holidays. Send your RFQs for cross, OK? 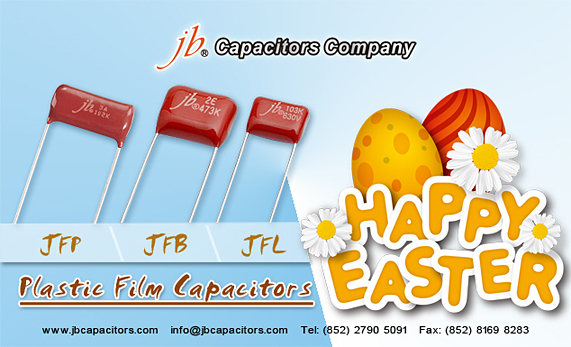 As the Easter holiday is coming, we now have very good prices for below dipped type MKT MKP film capacitors(CL21,CBB21 and CBB81), are you interested in? If your demand quantity is big, more discount can be offered. Pls. check your RFQS and send me your request list for quote, OK? You will receive very satisfied prices from me if you could send me your inquiry. Wish you a nice Easter holiday! 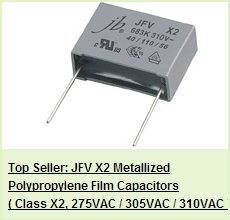 jb What is CL11 , CL21, CBB21, CBB81, CBB60, CBB65 Capacitor ? CL11 , CL21, CBB21, CBB81, CBB60, CBB65 capacitor is called in China. 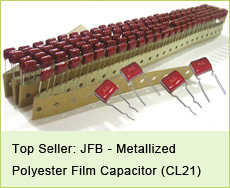 CL11--Polyester Film Capacitor, green capacitors. 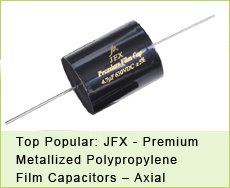 jb capacitors offer JFA series--Mylar polyester film capacitors. 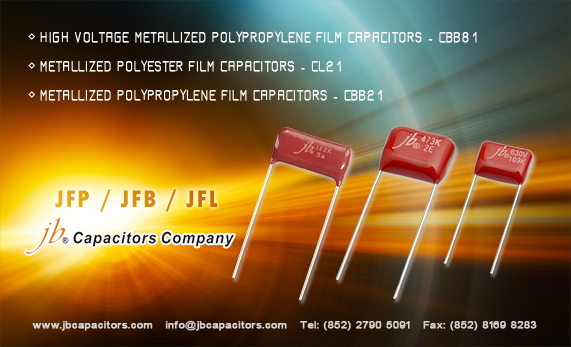 CL21--Metallized Polyester Film Capacitors, jb capacitors offer JFB and JFE series--Metallized Polyester Film Capacitors. 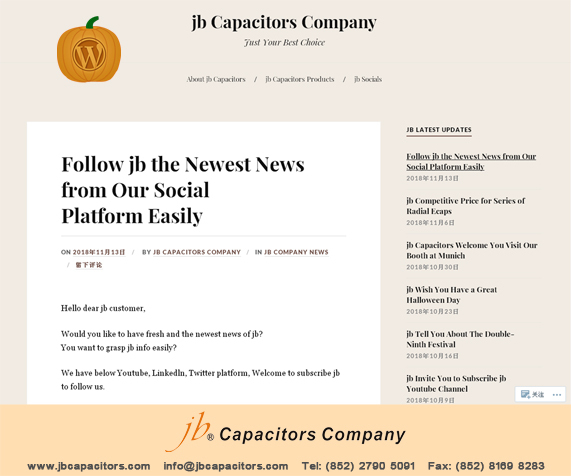 CBB81--High Voltage Metallized Polypropylene Film Capacitors, jb Capacitors offer JFP series--High Voltage Metallized Polypropylene Film Capacitors. 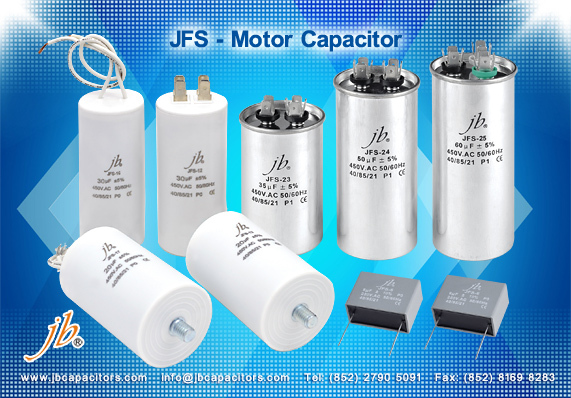 CBB60, CBB65--Motor Start capacitors, Motor run capacitors, jb capacitors offer JFS series--Motor starting film capacitors.